After going through Kickstarter and releasing Shadowrun Returns a year later, Jordan Weisman talks about rediscovering his audience, his family and the difference between designing a tabletop role playing game and a video game. 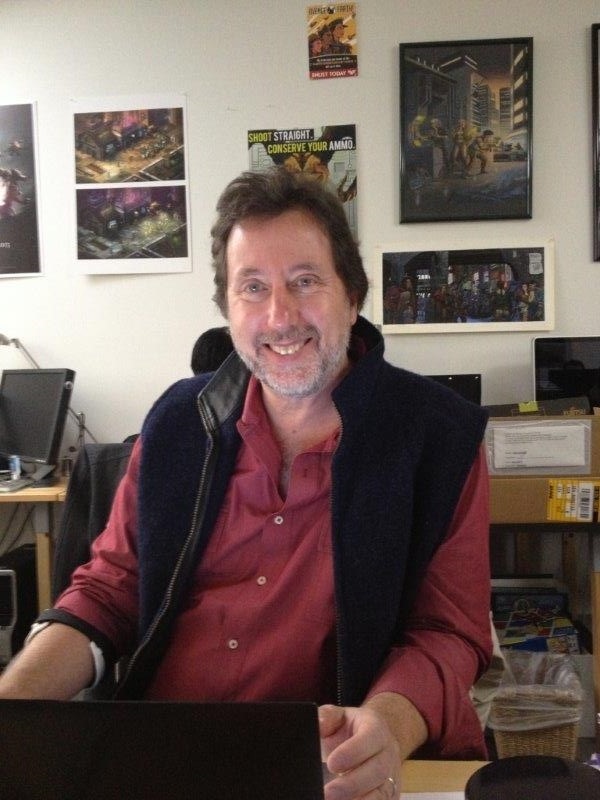 Weisman created the tabletop RPG Shadowrun back in 1989. The cyberpunk fantasy world combined the rigid dystopian future pioneered by writers like William Gibson and combined them with a familiar sense of magic found in other rpgs at the time. Weisman was behind multiple start-up companies, all which tackled games from a different angle. He was behind the Halo 2 alternate reality game I Love Bees and Year Zero for the band Nine Inch Nails. It took, however, until 2007 before he decided to go back to the franchise that jump-started this career. In 2012 his newest company, Harebrained Schemes Studios, launched a kickstarter for Shadowrun Returns. Just over a year later they completed it, and are now working on the second campaign - Berlin. Shadowrun Returns received mixed to positive reviews back in June, and is now available on Steam. Parts of this interview were originally broadcast on episode 17 of Built to Play. The music used in this interview includes Epsilon Not, Johnny-Ripper and Jared C Balogh under a creative commons license. It also uses a track from Shadowrun (Sega Genesis), and one track from Shadowrun Returns. For more of the Shadowrun Returns soundtrack, listen online.